OMG Posters! 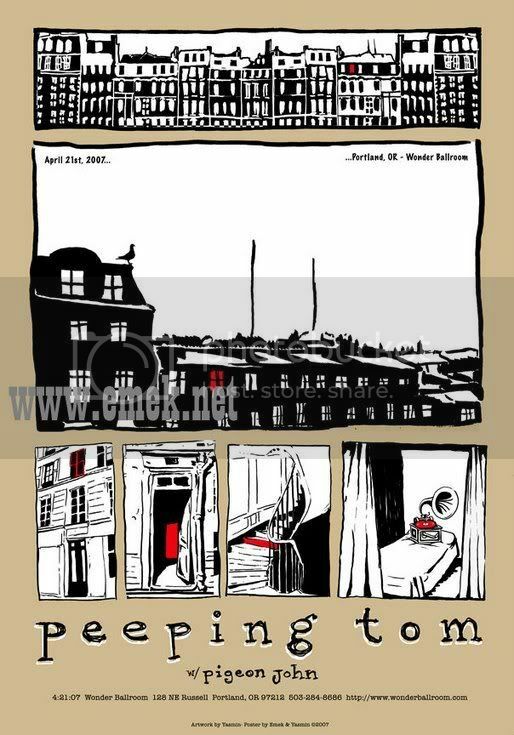 » Archive New Peeping Tom Poster by Emek and Yasmin - OMG Posters! This image surfaced of a brand new poster by Emek and his sister Yasmin.� The image says that artwork is by Yasmin, and the poster is by both.� I really like the vibe of this, really calm with obviously Emek elements (ie text).� More info to come. Hey cool poster, the image is taken from http://www.portlandposterpole.com , emek submitted to this site. A link back would be nice?